Back-Off - A term used to denote relaxation of forward thrust, i.e. loss of torque following application of the closure. Back-off can be affected by top loading, compressibility and resiliency of the closure liner, consistency of application torque, and mechanical interaction of the closure and bottle. Backing Liner - A compressible material, usually pulp or foamed polyethylene, to which the facing liner is attached or adhered. This compressible material compensates for any irregularities on the sealing surface. Band - That portion of the closure that releases when the closure is removed from a bottle. The band is used for tamper indication. Bead - A depressed or raised circle or ring around a container or closure. Binding - Excess drag when the closure is applied to the bottle. Binding is usually the result of interference. Bottoming-Out - A condition where the bottom skirt of the closure makes contact with the container (usually the shoulder or transfer bead) before the land area of the container and the closure (lined or liner less) create a seal. Cavitations - The number of molding stations within a mold. Cavity - A mold component which forms the exterior or external surface of the closure. Cellulose Band - A band made of hydrated cellulose film extruded in continuous tubing form. The cellulose tubing is then processed and printed in this form and cut into individual bands of predetermined lengths. The celon is allowed to air dry when it is applied to the finish of the container. During the air-drying period, the cellulose band shrinks to form a skin-tight film over the finish of the bottle. Center Gated Mold - A mold in which the cavity is filled with resin through an orifice interconnecting the nozzle and the center of the cavity area. Child Resistant Closure - (Abbreviated "CR") � A closure requiring dissimilar motions making removal by a child difficult. Child Resistant closures are subject to current government regulations. Chucks - A component of a capping machine which holds the closure for application to the container. Closure - Any structure or device designed to close off the opening of a container and prevent loss of its contents. Closure Height - The overall height of the closure proper. Closure height is measured from the closure top to the open end of the closure. Closure height can be considered in terms of "inside height" or "outside height." Closure Lining Machine - A high speed, specialized machine using a punch's die or specialized cutters to automatically cut and insert liners into closures. Closure Removal Torque - The amount of force necessary to loosen, open, or remove a closure from a bottle. Closure Skirt - The vertical wall of a closure. Closure Stripping Torque - The amount of force required to cause the closure and/or bottle finish to distort and override the matching closure-bottle threads. Cocking - Mis-application of a closure to a container. The closure�s appearance is uneven on the container or it is pulled off to one side, due to an uneven downward pull of threads. Cocking is normally caused by over torquing or an out of spec. "S" dimension container. Compression Molding - A molding process whereby thermoset plastic material is dropped into a cavity and formed under pressure by a force. The process is primarily done on a rotary molding machine. Continuous Thread Closure - (Abbreviated "CT") � A non-interrupted spiral design threaded closure. The main purpose of a CT closure is to mate with corresponding bottle threads and provide sealing and re-sealing of the container. Core - A mold component which forms the internal surface of the closure. The core also includes the threads. Curl - A tubular structure formed at the open end of a metal closure to provide a smooth, strong edge. 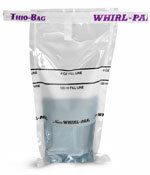 The curl facilitates automatic handling of the closure. Cycle - The sequence of operations in a process to complete one set of parts. The cycle is taken at a point in the operation and ends when this point again starts. Cycle Time - The time during which one molding cycle is completed. Cycle time comprises injection of melt, cure, recovery, part ejection, and clamping for next shot. Deep Screw Cap - A cap having a deeper skirt (more "H") and generally a heavier thread than the 400 finish series. Dispensing Closure - A snap on or threaded closure which allows for product dispensing, and usually resealing, without removing the closure from the package. Dome - A closure which has a rounded top surface. Dropper Cap - A closure that includes an attached dropper and rubber bulb. E Dimension - The smaller diameter of the inside of the closure measured "thread to thread." The "E" dimension corresponds to the "E" (outside wall) of the container. See the Cap and Neck Finishes page for more information. Facing Liner - The liner material attached or adhered to the backing liner. The facing acts as a barrier to the chemical reaction of the product. Finish - The configuration of a container top shaped to accommodate a closure. Fitment - A plastic component that snaps over the land area and functions as an orifice reducer or blocker. Flash - Excessive undesirable plastic materials on containers or closures formed along mold seams or parting lines. Flash results from plastic flowing into the clearance between mold components. Flowed-in - A method of applying fluid sealing compounds with a nozzle. Friction cap - A closure held on by friction upon application to the container, building up resistance to the movement of the closure. G-cap (G-450) - A 70 millimeter cap with a deep screw threaded skirt (450). Gasket - A liner applied between the sealing surface of container lip and closure. A gasket provides the ultimate seal. Gate - An orifice through which the molten resin enters the cavity. A gate is the small restricted opening connecting the runner to the cavity. Glued-In Closure Liners - Closure liners attached to the inside roof of the closure by a hot melt adhesive. H Dimension - The height of the bottle finish, measured from the sealing surface, in a line parallel to the axis of the finish and tangent to the threads on the finish, down to a point where the line intersects the body (shoulder) of the container. The "H" dimension is also the inside height of the closure, measured from the bottom of the closure, in a line tangent to the threads of the closure, terminating at the inside, top of the closure. The "H" dimension does not include any liner (if used), or "linerless" seal, ribs, membranes, or any other sealing element dimensions. I Dimension - The diameter of the opening of the container measured from the inside wall to the inside wall. Induction Seal Liners - A specialized laminate containing aluminum foil and a plastic heat sealable film which hermetically seals a container through use of an Induction Cap sealing Machine. Injection Mold - A mold into which a plasticated material is introduced from an exterior heating cylinder. Injection Molding - A process by which a plasticized material is forced into a mold. Inner Seal - An additional seal of moisture proof material applied to the top of container prior to or during the application of the closure. Interference - A condition where an exterior diameter in the finish area of the bottle is larger than the mating interior diameter of the closure. Internal Threads - The threads on the interior of the closure. Interrupted Threads - Non-continuous threads on the closure causing gaps. Interrupted threads are normally used in beverage closures thread on (neck) finish of bottles in which the thread has gaps or discontinuities. The gaps are at the parting line of the mold. Knurl - The indented or crimped portion on the skirt at the top of the cap used for holding the liner in the cap. The knurl is also used as a grip for removing the cap. The knurl provides a non-skid surface during the threading operation. L Dimension - The vertical distance from the sealing surface to top part of neck bead, i.e., where the upper most part of bead intersects the container neck. Land - The lip of the container to which the closure liner or land seal linerless feature compresses or conforms to tolerance. Land Seal - A sealing device which seals by applying pressure to the top or land of the container finish. Liner - A disk of paper, cork, foam, plastic, etc., retained in a closure to provide a flexible barrier between the closure and the sealing surface of the container. Liner Well - The space provided in a closure for a liner. Linerless Closure - A thermoplastic closure incorporating a molded-in sealing feature which, when applied to a container with the appropriate finish, seals most liquids within the container. Lug Cap - A closure with raised internal impressions that inter-mesh with identical threads on the finish of container. Matte Finish - A coating surface that displays no gloss when observed at any angle. Matte finish is also referred to as a "flat finish." Mechanical Breakaway Bands - A closure with a portion or section of the skirt perforated or weakened in some manner so when the closure is opened, the section is designed to break apart and either remain on the container or attach to the closure to indicate the package has been opened. Metallizing - Applying a thin coating of metal to a non-metallic surface. Metallizing can be done by chemical deposition or by exposing the surface to a vaporized metal in a vacuum chamber. Modified Buttress Thread - Commonly referred to as "M" style. The modified buttress thread was developed, with a 10 degree pressure angle, to offer more closure-to-bottle thread contact. Mold - The combination of mold frame and tooling components needed to form a closure. Mold Frame - The plates and components required to direct plastic to the tools that form closures and remove the closures from the mold. Molding (compression) - A process of shaping or forming material through the use of molds, heat, and pressure. Molding (injection) - A process of shaping or forming plastic objects from powder or granule form in a mold by cooling the previously heated plastic. Mouth - The open end of the cap opposite the top. Neck - The part of a container where the shoulder cross section area decreases to form the finish. An illustrated example of the neck can be found at the cap and neck finish page . Neck Rings - That part of the mold equipment which forms the finish of the bottle. Non-Threaded - Designates items which do not require threading action when applied to glass or plastic containers. Examples of non-threaded closures are snap caps, sifter fitments, pour-out fitments, etc. Offset Neck - The vertical axis of the neck finish is off center from the vertical axis of the container. Orifice - An opening in a plug, fitment, or dispensing cap through which the product is dispensed. Overseal - An additional closure that tamper-proofs the primary closure. The over seal is usually made of foil or aluminum. Phenolic - A type of thermoset plastic. Pipette - The glass or plastic tube portion of a medicinal dropper closure. Plastisol - A liquid mixture of resins and plasticizers solidified by the application of heat. Pour-out Finish - A bottle finish having uniform undercut lips. The pour-out finish is designed to facilitate pouring without dripping. Removal Torque - The torque force, measured in inch-pounds, required to unscrew a closure from a container. S Dimension - Locates the position of the bottle thread with respect to the sealing surface. The "S" dimension is the vertical distance from the sealing surface to the intersection of the finish wall and the top part of the first part of bottle thread where full depth contour exists. Sealing Surface - The lip portion of the finish which makes contact with the sealing gasket or liner and forms a seal. Shell - The hat shaped, preliminary form of a metal closure prior to being threaded and knurled. Shrink Factor - The change in dimension which a closure undergoes after being molded. Shrinking is generally caused by cooling and subsequent contraction of the plastic material. Sifter Fitment - A plastic component of a package designed to allow the shaking out of dry products, such as a table salt shaker. The sifter fitment snaps over the glass bead with a metal or a plastic cap applied over the fitment. Skirt - The vertical wall of a closure. Snap Fit Closure - A closure held in place through the use of beads or undercuts rather than threads. Spout Cap - A closure designed to facilitate the pouring of the contents of the container. Stacker Cap - A closure designed specifically to nest with the bottom plate of a container to facilitate the stacking of filled containers one on top of each other. Stress Crack - An external or internal crack in the plastic caused by tensile stress less than that of its short-time mechanical strength. The development of such cracks is frequently accelerated by the environment to which the plastic is exposed. The stresses which cause cracking may be present internally or externally or may be combinations of these stresses. The appearance of a network of fine cracks is crazing. Stripping Torque - The amount of application torque that causes the threads of the closure to override the container threads. T Dimension - The major diameter of the thread on a Continuous Thread. closure. See the Cap and Neck Finishes page for more information. Tamper Band - The tamper-evident feature of the closure. The tamper band is usually connected to the closure skirt by leaders or bridges. Tamper Evident Breakaway Band Closure - The section of the closure skirt that is weakened or perforated in some manner. When the closure is opened that section is designed to either remain on the container or stay partially attached to the closure. The tamper evident breakaway band closure is designed to reveal removal of the closure was attempted. Tamper Evident Closure - A closure or liner system incorporating a feature that visually indicates if the closure has been removed or the product has been exposed. Removal of the closure or liner system activates the indicating feature. Tamper Evident Tear Band - A closure with a band, usually with a tab for grasping, designed to be detached by the consumer. The tamper evident tear band is designed to reveal removal of the closure was attempted. Thermoplastic - A plastic material that repeatedly softens when heated and hardens when cooled. Thermoset - A material that will undergo, or has undergone, a chemical reaction by the action of heat, catalysts, ultraviolet light, etc., leading to a relatively infusible and cross-linked state. Typical of the plastics in the thermosetting family are the epoxies, glytals, melamines, urea formaldehyde resins, and phenolics. Thermosets are typically supplied in powder, granules, or modules, and are normally processed by compression molding. Thermosets cannot be remolded once processed. Thread - Complimentary, helical protrusions on the closure and the container. Thread Engagement - The actual contact made by the closure and bottle finish thread. Thread engagement is usually specified in number of turns. Thread Profile - The cross section configuration of a closure thread. Thread Start - The position at which the full thread depth toward the open end of the closure first occurs. Thread Turns - The measurement of thread revolutions in a closure or on a container finish. Tinplate - A thin sheet of steel with a layer of tin used in manufacturing metal closures. Tolerance - The permissible maximum deviation from specified dimensions, quantities, or specifications. The amount of variation allowed from the nominal dimension. Tooling - The specific components in contact with the plastic that form the closure. Top Load - The amount of weight bearing on the top of a package. Torque - The rotational movement used during application or removal of a continuous thread closure from a container. Torque Meter - A device used to measure application and removal torque. It is expressed in pound-force inches and commonly referred to as "inch-pounds." Unlined Closure - A closure without a liner disk inserted, but designed to accept one. Value Seal - A sealing device which seals on the inside of the neck finish of the container in the fashion of a plug. A controlled inside finish diameter is required to accomplish a seal. Valve Cap - A closure that includes a valve to regulate the flow of the product from the container.